Helping the Community Grow...We buy Local! 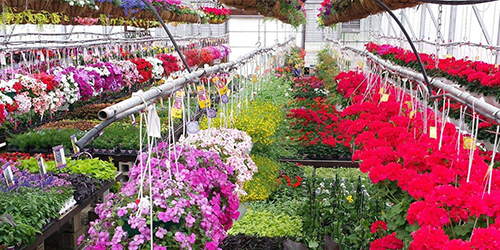 In the spring, our greenhouses visually explode with beautiful colors. Wander through our garden to find Prairie View grown hanging baskets, vegetable and herb plants, or even an entire landscape of perennials and shrubs handpicked by us for your gardening success. 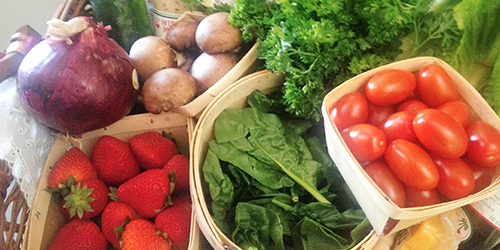 The bounty of Prairie View's garden fills our farm market each summer. The smell of baking pies surrounds you as you enter. Mounds of colorful vegetables and fruits fresh from the field are waiting to find a spot on your dinner table. The autumn months bring spectacular Prairie View grown mums & fall planters. 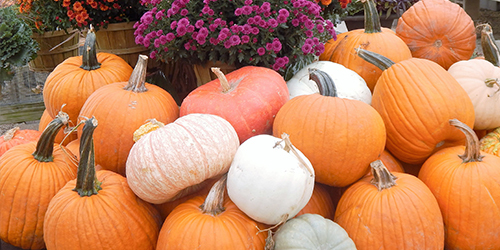 Meander through our garden to find pumpkins of all colors & sizes, hordes of gourds, corn stalks, Indian corn and more to add that festive touch to your home.